United chiefs accused a section of the 3,500 travelling PSG fans of "going too far" in Tuesday's 2-0 Champions League defeat. And now it has emerged that around 800 seats were ripped out or broken. Club chiefs will go back to the French side about recouping costs incurred from the destruction. It is believed some seats will need to be replaced entirely while others will need urgent repairs, say the Manchester Evening News. Some of the seats were stood on, torn off their fastenings and a number were reportedly thrown around, while smoke bombs and flares were set off even though searches were in operation. Netting put in to protect fans in home sections – including the disabled fans section in the East Stand – was ripped down. It is claimed United fans complained of seats being hurled around and spitting. Uefa yesterday confirmed PSG had been charged with four breaches of its rules – setting off fireworks, throwing of objects, acts of damages and crowd disturbance. There certainly was an electric atmosphere in the ground – with Angel Di Maria having a bottle thrown near him and his provocative celebration. A video also showed PSG fans picking up a steward and making him crowdsurf during the game. One United source was quoted as telling the MEN: "Our fans created a great atmosphere getting behind the team. 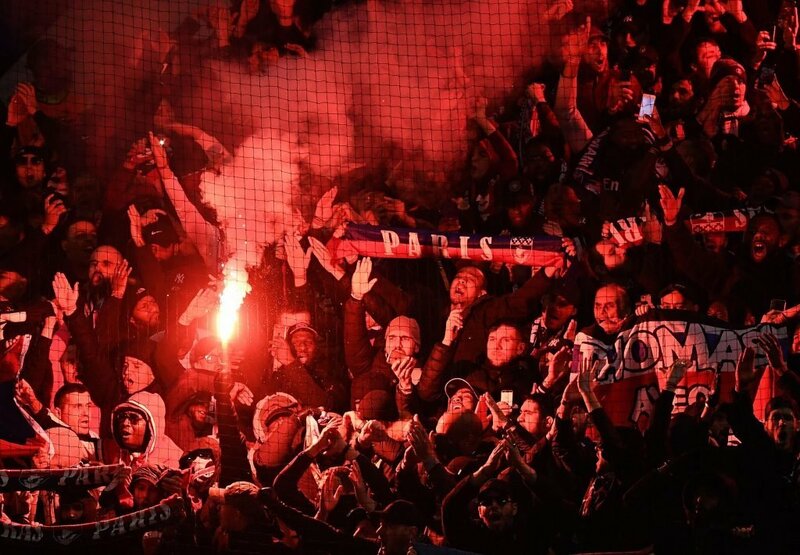 "PSG fans played their part, but some of their behaviour clearly went too far."